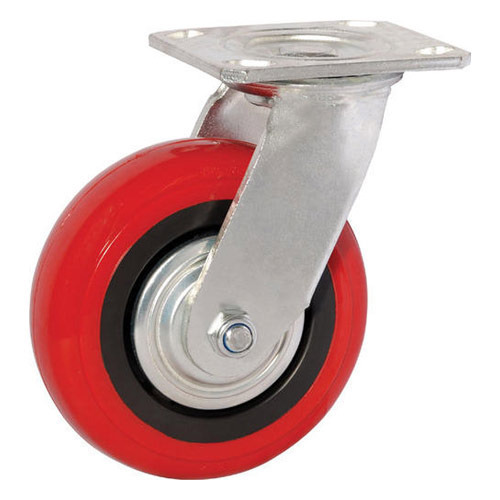 Acclaimed for manufacture of best quality trolley wheels, heavy duty trolley wheels, caster trolley wheels, conveying trolley wheels, caster and trolley wheels. We have emerged as the renowned exporter of the same. The precision made range of products offered by us includes heavy duty wheels, light duty wheels, spare wheels and steel castors. The range offered by us has created a reputation of its own in the market. Our assortment is well known because of its features like durability, dimensional accuracy, load capacity and impact strength. The gamut of products offered by us is stringently quality tested on various parameters to ensure quality compliance. We have a customization facility available besides using finest raw material in the manufacture of our products. Bringing into application latest technology our flawless range is a synonym of quality and durability. We have a wide distribution network enabling us to reach far and wide. Resistant against oil petro and most chemicals. PU wheel is widely catered to the requirements of packaging industry, mining and elevator industries. These are having long lasting performance and are highly strong and anti-resistant in nature. Polyurethane is an elastomer with a high breaking point and a high co - efficient of elasticity it offers excellent elasticity and hardness and high resistance to compression bending and abrasion for high strength high static loads hard wearing and upto 10 times the life of natural rubber under similar conditions and load hard wearing and upto 10 times the life of natural rubber under similar conditions and load. With load capacity upto 3 times that of equivalent rubber wheel. Resistance to ageing mineral oils and greases solvents. 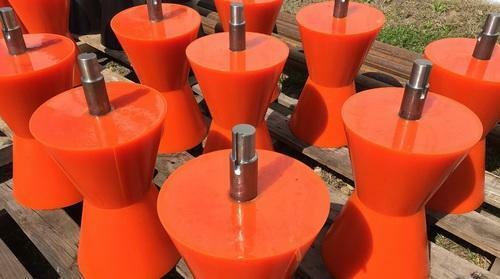 We are manufacturing polyurethane roller, wheels as per customer requirement. We have marked a distinct and dynamic position in the market by providing a high quality array of Cast PU Wheel. The offered wheel is manufactured with the help of premium quality rubber and sophisticated tools in adherence to set industrial norms. 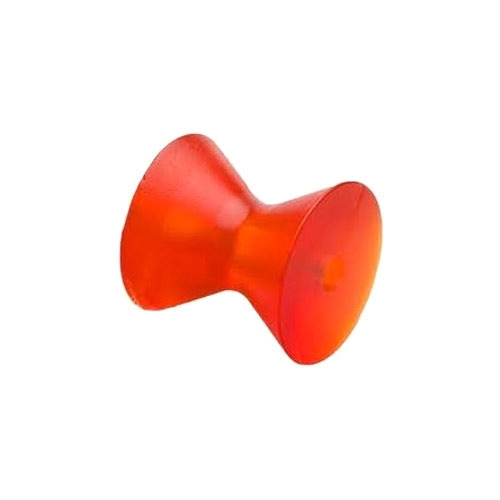 This wheel is widely used in various industrial trolleys for smooth movement. We offer these wheels in various specifications for our clients to choose from. Leveraging upon our vast industrial experience, we are able to offer qualitative range of PU Conveyor Roll for our clients. 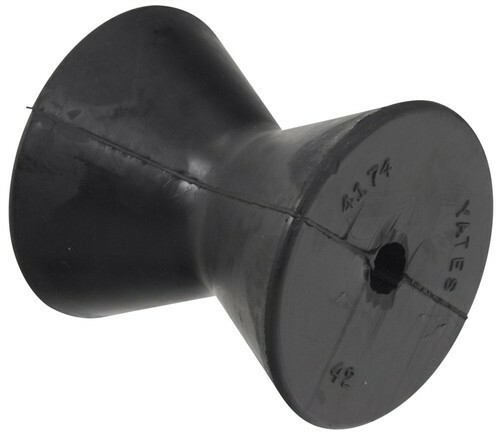 This roll is widely known for its usage in industrial conveyors. Our offered roll is highly appreciated by our clients, owing to its high strength and durability. Our offered roll is available in various customized options and can be easily availed from us at the most competitive market prices. 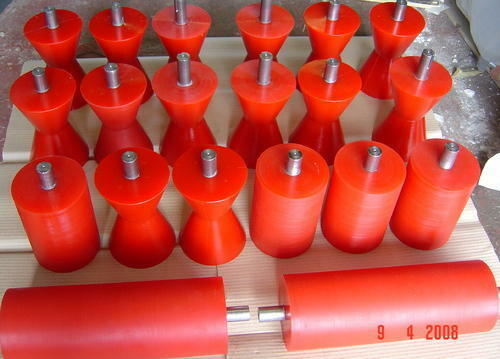 We are manufacturers and exporters of rubber rollers, wheels as per customer requirement. 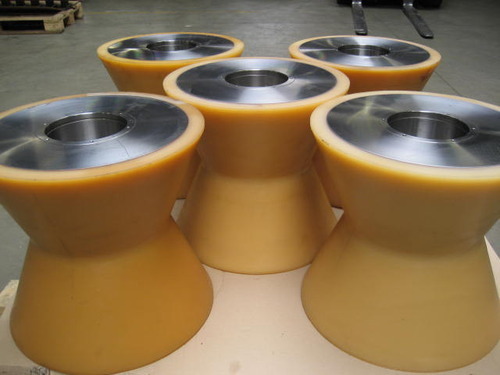 We are manufacturers and exporters of PU Rollers, wheels as per customer requirements. We are manufacturers of urethane, pu rolls, wheels as per customer requirement.